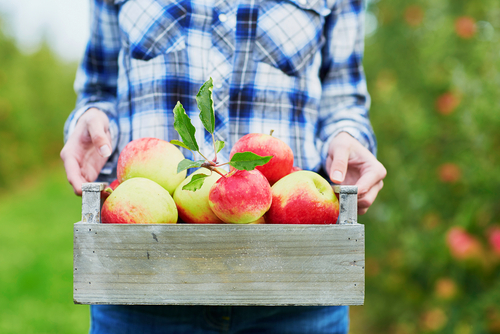 New Jersey’s pumpkin and apple picking season usually starts around September 15th. Pick-your-own farms are plentiful in New Jersey and below we listed the best places to visit this month. All are not too far from your Third & Valley home. “Pick your own” season has officially begun at Battleview Orchards. This is one of our favorite places to visit in autumn. During the summer months you can pick your own strawberries, sour cherries and nectarines. Peach season is winding down but if you visit before September 10th you may still find some good pickings! Battleview Orchards is a family owned and operated farm located in Freehold, NJ which is less than an hour from our Third & Valley community. They harvest locally grown fruits and always invite the public to pick their own fruit including apples and pumpkins in September and October. Their Country Store is open all year long and features fresh fruit, vegetables, delicious fresh baked pies, breads and pastries, gifts and their famous fresh pressed apple cider and donuts! In September and October, during the weekends, they offer educational group tours and hayrides. Alstede Farms is also under an hour from our community and offers pumpkin and apple picking, mazes and hayrides. Chester is a very quaint and charming town filled with shops and cafes making it the perfect day trip for friends and family. Make sure to add their harvest moon hayride on September 23rd to your “to-do list” for fall. For those of you looking for a more “grown up” outdoor experience, we highly recommend Warwick Winery. You can pick apples and then end your day with a nice glass of wine! They have an indoor tasting room, delicious food, outdoor seating and a lot of fun events during the fall.